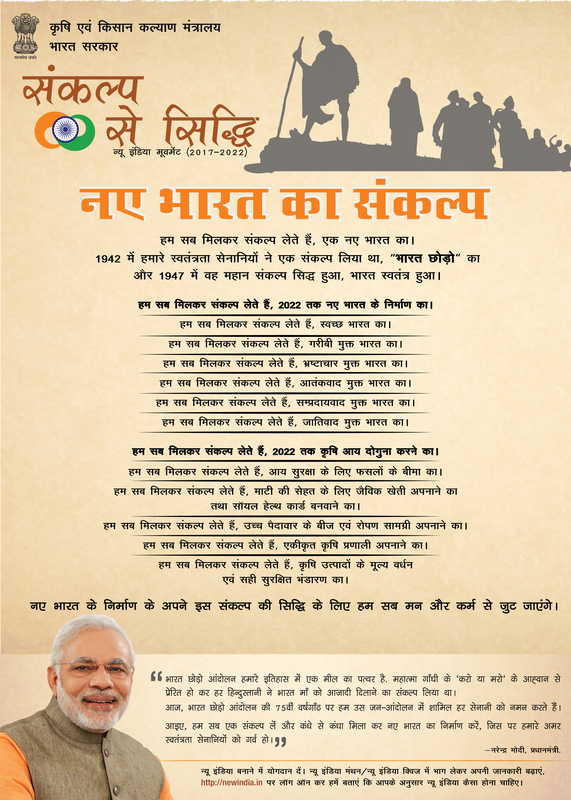 Objective: Administered pledge for clean India, poverty-free India, corruption-free India, terrorism-free India, communalism-free India and castesim - free India along with doubling farmers income by the year 2022. One kisan films comprising message from Hon’ble Prime Minister was also screened to sensitize and inspire the farmers. The New India Manthan: Sankalp Se Siddhi programme was organized by ICAR-IISCW, Chandigarh in collaboration with KVK, SAS Nagar, Punjab on 7th September, 2017 at ICAR-IISWC, Chandigarh to commemorate the 75th Anniversary of Quit India Movement. Hon’ble Sh. Prem Singh Chandumajra Member of Parliament - Fatehgarh Sahib graced the occasion as Chief Guest. The Guest of Honour was Dr. H.K. Verma, Director of Extension Education, GADVASU, Ludhiana. 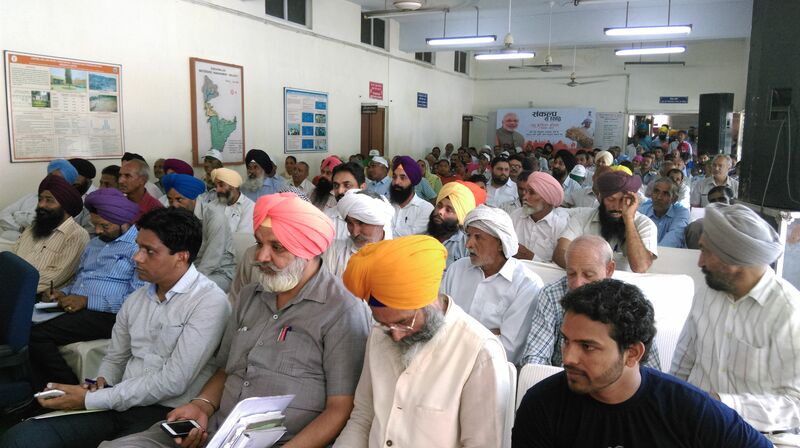 About 200 farmers from the states of Punjab, Haryana and Himachal Pradesh along with officers attended the programme. 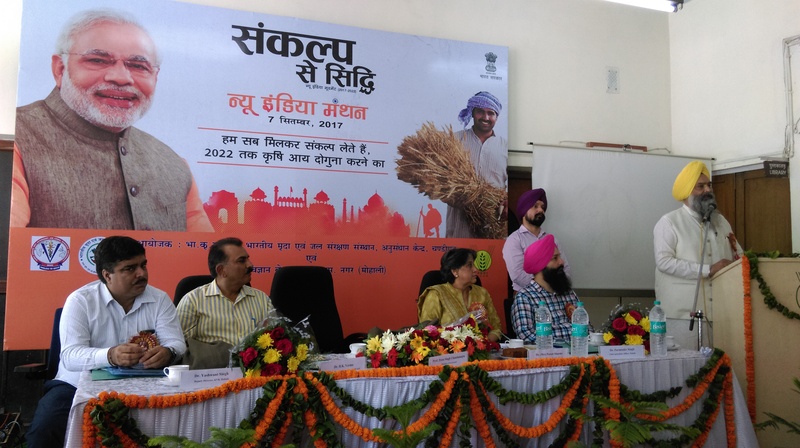 In inaugural address, the Chief Guest stressed upon coordination between the scientists of various Research and Development organizations and State Government Departments for achieving doubling farmers’ income by 2022. He further emphasized on soil health card and urgent need to decrease cost of inputs in agricultural sector. The guest of honour Dr. H.K. Verma spoke about achievements of GADVASU and its contribution for farmers.